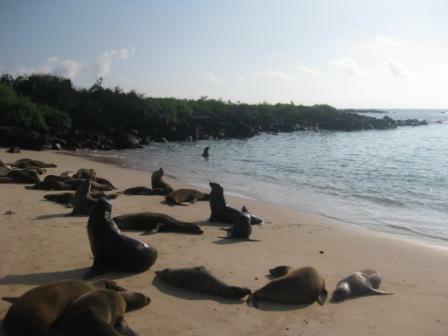 The archipelago of the Galapagos islands forms a province of Ecuador located 600 miles west of the mainland. 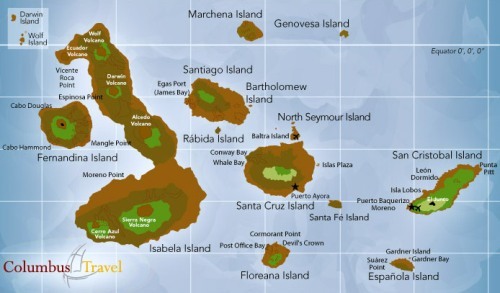 The 18 main islands are grouped under 3 cantons: Santa Cruz; San Cristobal; and Isabela. 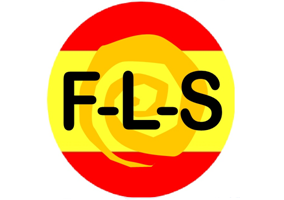 They are volcanic in origin but have a wonderful diversity of plant and animal life. This characteristic was the reason why Charles Darwin was able to develop his theory of evolution by natural selection. In the modern era, the draw of the islands has been enormous, and every year thousands of tourists visit to admire the stunning natural beauty. 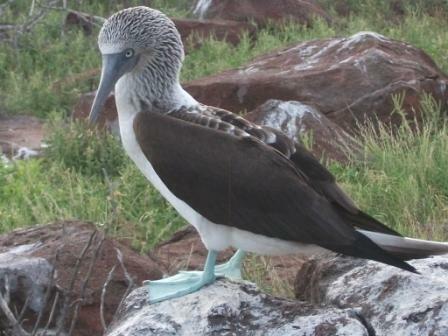 The famous blue footed booby bird. 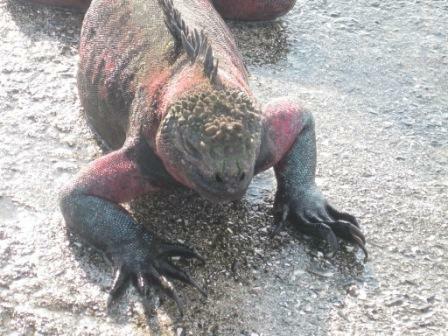 The sea iguana displaying its unusual colouring. The seals have found this gorgeous beach and tourists will have to give way to them! 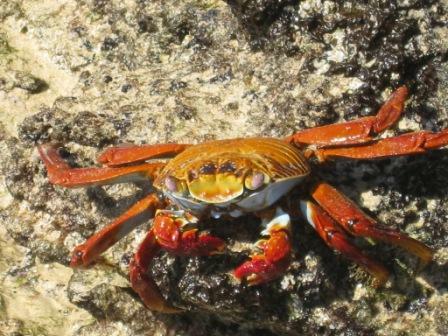 The crab population of the islands must be quite phenomenal, most are spectacularly coloured. 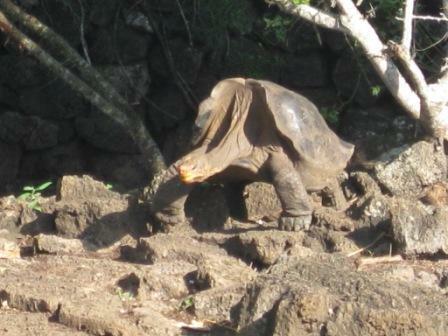 Lonesome George. One of the most famous giant turtles in the world. George is reputed to be well over 100 years old. Who knows, he may have been here in Darwin's time. Despite several attempts to offer him female companionship he appears to steadfastly remain a lonesome turtle. The infamous red frigate bird who plays the cuckoo of the islands by being totally unsociable and vandalous to all his other bird kind. 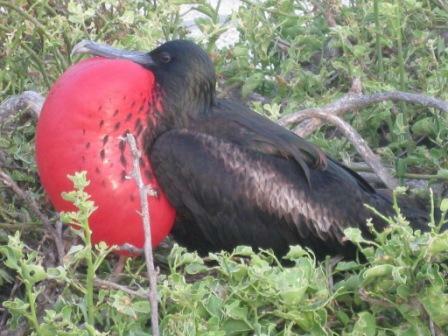 He steals eggs from other birds, and blows out his distinctive red chest to announce his presence and attract female frigate bird admirers. 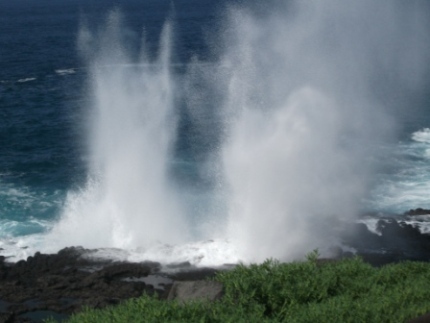 The power of the waves around the islands is incredible and blow holes create fantastic effects as the water hits the shoreline. 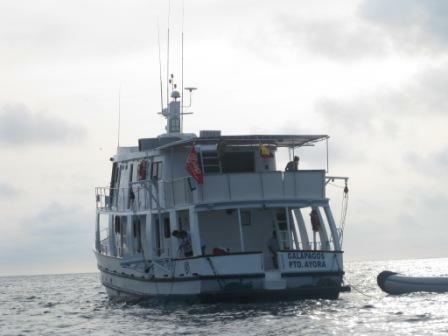 Typical Galapagos Islands tourist boat equipped with separate bedrooms, galley and bar. All your needs catered for! 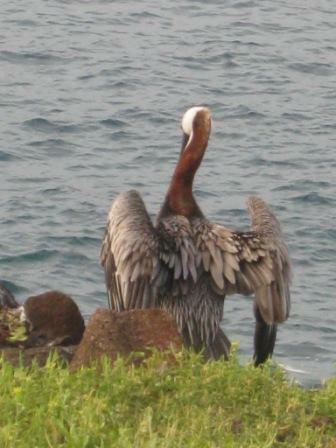 The teeming seas around the islands are fruitful fishing grounds for the pelican population. They are quite enormous birds with wingspan of up to 90 ins. They like to hang around the ports waiting for fishermen to bring in their catches, and try to steal the odd fish from the harbour side!